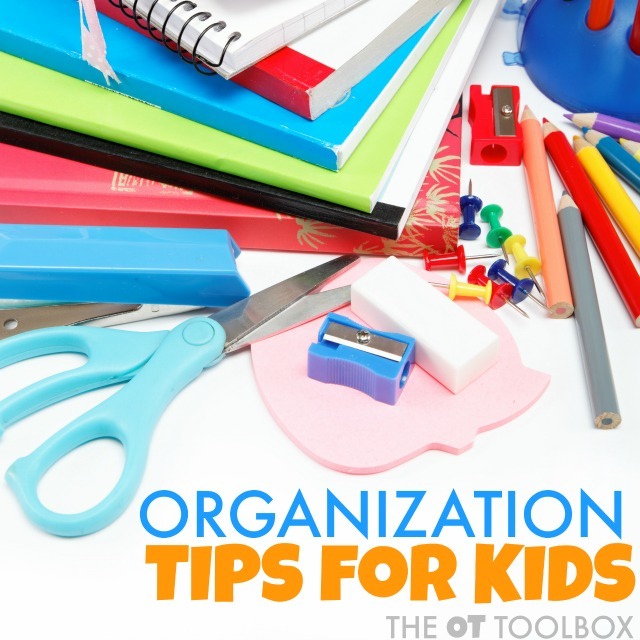 We've addressed a few different ways to help kids improve organization over the years. 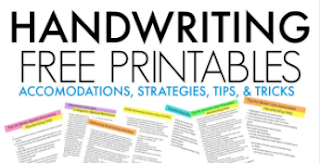 From visual organization to organizing school work, these organization activities are perfect for the child who struggles to keep their materials in order, needs a more efficient and orderly approach to tasks, or has trouble staying focused to structure or arrange related or connected items. 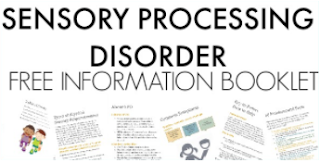 These organizational difficulties present in the classroom, after school during homework time, or when the child is getting their items together in the morning before beginning their day. Try these activities in a variety of manners. Some children may benefit from various organizational strategies in different situations. 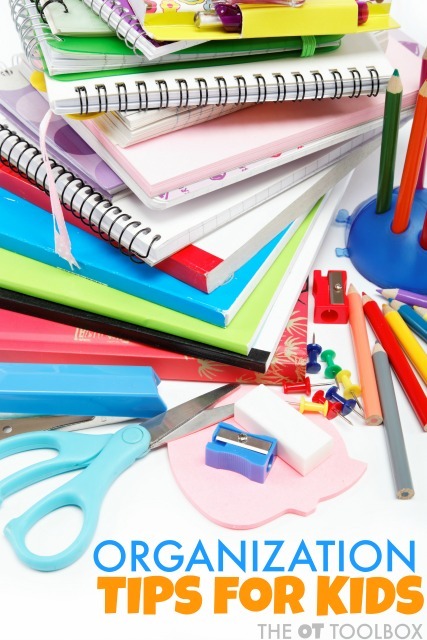 The child with a messy desk and lost classroom materials may need some of the classroom organization tips. 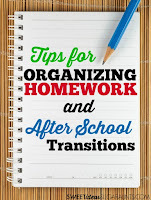 They child with lost homework or missing gym clothes may benefit from some of the at-home organization strategies. As always, remember that every child is different and what works for some kids may not work for others. 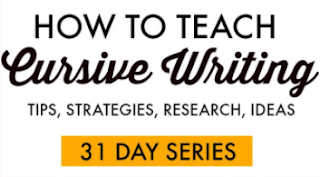 This post is part of our new Executive Functioning Skills area of content. Be sure to stop back as more organization tips, strategies, and tools will be added very soon. 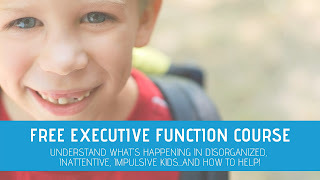 The executive function section of the site is being developed at the moment and more executive functioning skills will be added under the drop down tab in our menu.